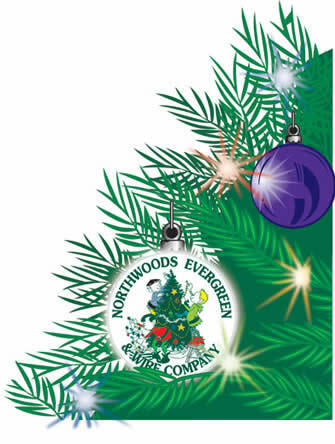 Northwoods Evergreen and Wire Company, located in Merrill, Wisconsin, is one of the evergreen industry’s largest wholesale suppliers. In the early 1980s, owner Jon Schultz realized there was a gap between the industry’s suppliers and its smaller producers. Jon created a niche market by securing the best deals on supplies and passing on the savings to his customers. Today, Jon continues to seek innovative ways to serve his customers and the industry worldwide. Many local companies, such as Mitchell Metals products, work closely with Northwoods Evergreen and Wire Company to ensure top quality products and to meet the quantity and logistical needs of every customer. See our large assortment of Christmas wreath rings! Please stop in to see us, call or send an e-mail to learn more about how we may assist your business. Custom Designed for Northwoods Evergreen & Wire Co.